Lewis Hamilton was back on form on Saturday in the Formula One Malaysian Grand Prix, as the three-time world champion extended his dominance from two practices to the qualifying session, securing the pole position with a lap time of one minute 32.850 seconds. It was the 57th pole position for the British driver, who gained a four-tenth advantage over his team-mate Nico Rosberg, the front-runner on the drivers' scoreboard. Rosberg fought hard on Saturday, though he did not have too much chance, only catching up before the end of the qualifying session. The rivalry between the two Mercedes drivers tipped to the advantage of Hamilton, who barely secured a third place in the Singaporean Grand Prix two weeks ago. 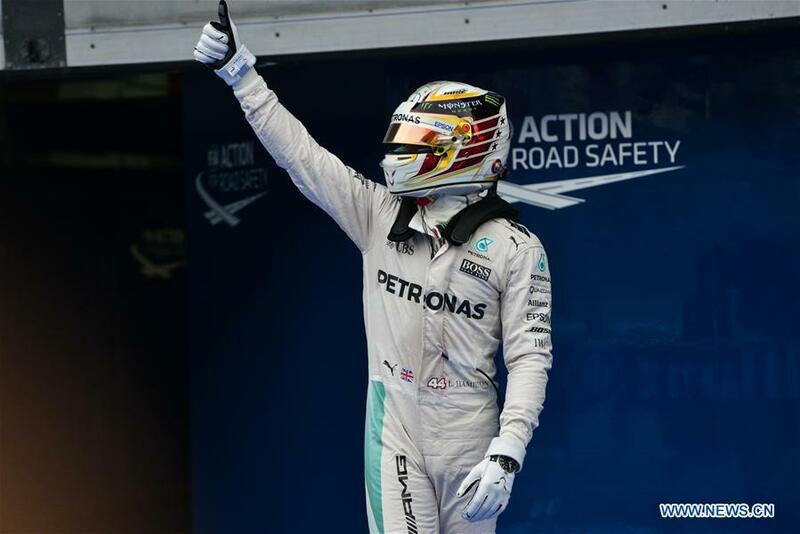 "The car is fantastic today, I really enjoyed it," said Lewis Hamilton during the post-race press conferring. "The lap could have been faster," he added. Red Bull's two drivers Max Verstappen and Daniel Ricciardo, though unable to challenge the Mercedes, did manage to secure the third and fourth places respectively. Ferrari's Sebastian Vettel and Kimi Raikkonen came in fifth and sixth while the Force India's Sergio Perez and Nico Hulkenberg ranked on seventh and eighth. Jenson Button of McLaren, who got qualified into Q3 with a fine lap time in the end of Q2, will start his 300th Grand Prix on Sunday from ninth while Felipe Massa finished at tenth.